It's the simple things that give my heart its wings. The past few weeks haven't been the easiest, with the gravity of life pulling down and the winds of heartache blowing through the days, but my heart has been given wings by some of the sweetest and simplest things. Seeing the room where my grandpa stayed during his last week on earth. He had a beautiful view outside his window, reminiscent of his own home, and beautiful care from both my mother and uncle's steadfast company and the kind hospice and care-home workers who made him as comfortable as they could. The way everyone fought for my grandpa - to give him the best possible treatment and going-home experience - touches my heart. Watching my grandpa's memorial service come together. His heart of service, his kindness to others, his big smile for all, his devotion to his one true love and his family, and the faith that meant everything to him - it all was so evident in every part of our celebration of his life. African violets and a lovely evening on the coast. My coworkers in marketing got together and had a basket of beautiful African violets sent to me at work after they heard about my grandpa passing away. I was incredibly blessed by their thoughtfulness and care. As for the book pictured here, I returned home by way of the coast and enjoyed a delicious dinner and some shopping in Florence's (Oregon) Old Town. One of the items I picked up in a cute little shop was this "Reading Journal for Book Lovers." Returning to the red-carpet treatment. You can't help but feel loved with a red carpet and chocolates - and a new nickname like "White Tiger." a million other simple things from movie-watching to agate-hunting, texts and phone calls, solitary drives and the power of fond memories. These things aren't really that small - and certainly their impact is far from simple. Listing them here, remembering all the ways God has provided for me and my family in just these past few weeks, is eye-opening. My heart has wings, indeed. Ellie Abbington, a beautiful yet unassuming young woman, quietly longs for her life to change. Too privileged to associate with the servants—too underprivileged to associate with her own family—she dreams a dream of a prince and a happily ever after. But it could be that her own stepsisters, conniving Dezmarie and easily-influenced Adelaide, are dreaming the same dream...of the same prince. In the end, are dreams even all they're made out to be? Especially with deep and long-hidden secrets about to be unearthed? Shantelle blogs at A Writer’s Heart about her stories, favorite books and movies (with reviews), healthy wheat-free recipes, and hosts fellow authors, among other things. One of her joys is connecting with fellow writers and readers! You can also find her on Facebook, Goodreads, Google Plus, Pinterest, and Twitter. Natasha H. is an aspiring photographer and also loves drawing and painting. 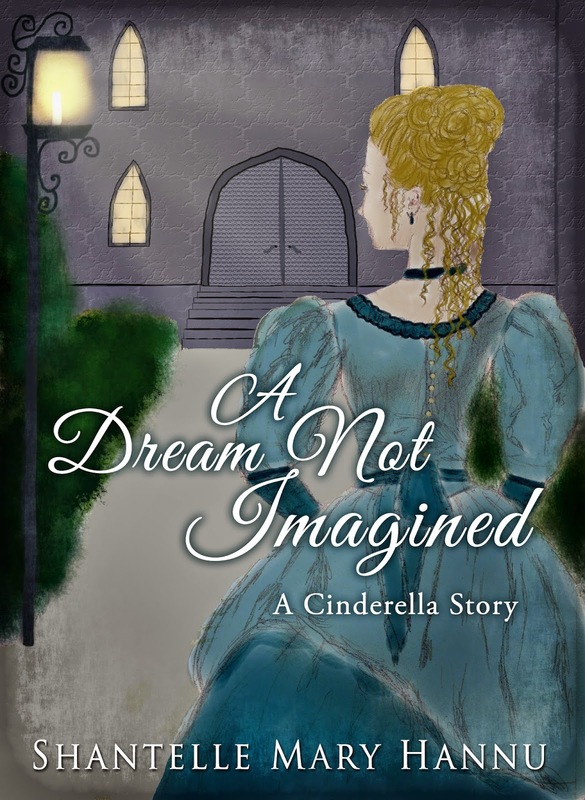 A Dream Not Imagined is the first book she has drawn the cover picture for. Learn more about her work at her blog, Through My Lens. Find links to the other cover reveal participants HERE! RSVP for the Facebook Party Tomorrow (April 24th)! "Sent away for protection, hotel heiress Estella Everstone finds herself living undercover as a lady’s companion named Elle Stoneburner at one of her father’s opulent hotels in the mountains of Maine—the one she’d always loved best and always hoped to own one day, Everston. The one thing she doesn’t like about the situation is that her ex-fiancé is in the area and is set on marrying someone else. Reeling from her feelings of being unwanted and unworthy, Estella reluctantly forms a friendship with the gruff manager of Everston, Dexter Blakeley, who seems to have something against wealthy young socialites with too much money, although they are just the kind of people Everston caters to. When Estella finds herself in need of help, Dexter comes to the rescue with an offer she can’t refuse. She sees no other choice aside from going back home to her family and accepts the position as companion to his sister. Throughout her interactions with Dexter, she can’t deny the pull that’s evidenced between them every time he comes near. Estella realizes that while she’s been hiding behind a false name and identity, she’s never been freer to be herself than when she’s with Dexter Blakeley. But will he still love her when he finds out she’s Estella Everstone? She’s not entirely sure." Wealthy and withdrawn Estella Everstone is in hiding, but her new role as companion to Mrs. Granton brings her back to one of her father's hotels. At Everston, her past, present, and future meet on a vacation that's low on relaxation - and high on drama, mystery, and romance. With a title including the word "captive," and given the nature of the endings of the first two books in the series, I perhaps hoped for a bit more emphasis on the general suspense element. Since there was a lingering threat from Book 2 (The Bound Heart), it felt like this concluding installment of the trilogy should have been a tad more epic and drawn out in that way. However, I was quite satisfied with the romantic suspense/tension, and I believe I enjoyed this romance the most out of the three! Lots of emphasis is placed on the time spent between the hero and heroine, Dexter and Estella, resulting in many exciting and tender scenes with a unique, not-quite-Gothic flavor. I loved the resort setting that served as the wild and grand backdrop for the romance. I also appreciated that the faith element felt stronger in this book, with a couple of sermons in the woods to highlight the beliefs and growth of the characters. 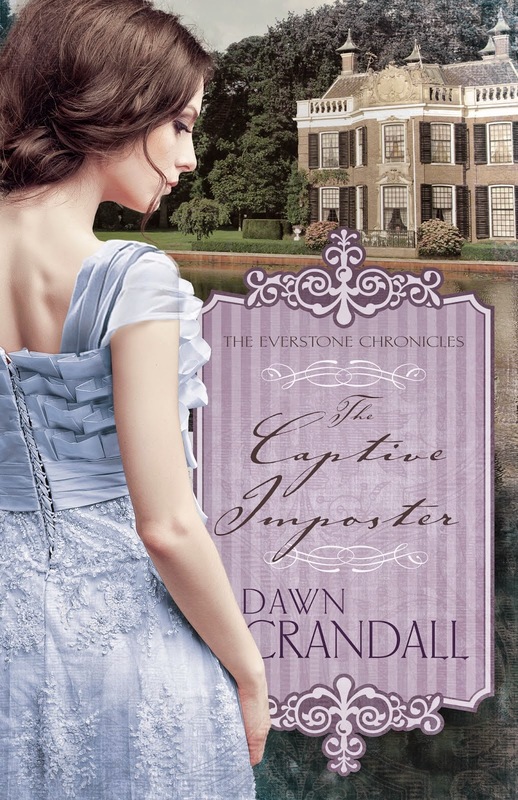 The Captive Imposter came across as almost more of a stand-alone with the seclusion of the main characters and setting, making it a little easier to follow compared to the other books in the series. The Everstone Chronicles as a whole is a lovely and intriguing collection, and while I felt the climax could have been stronger in this last book, I think the story flowed best, even if the characters still made me frustrated at times... But I guess it wouldn't be as much fun otherwise! :) Another great historical romance from Dawn Crandall! Check out my reviews of The Hesitant Heiress and The Bound Heart, Books 1 and 2 in the series! "Phaedra is cursed to sleep until true love wakes her. Hermione has a dark secret. 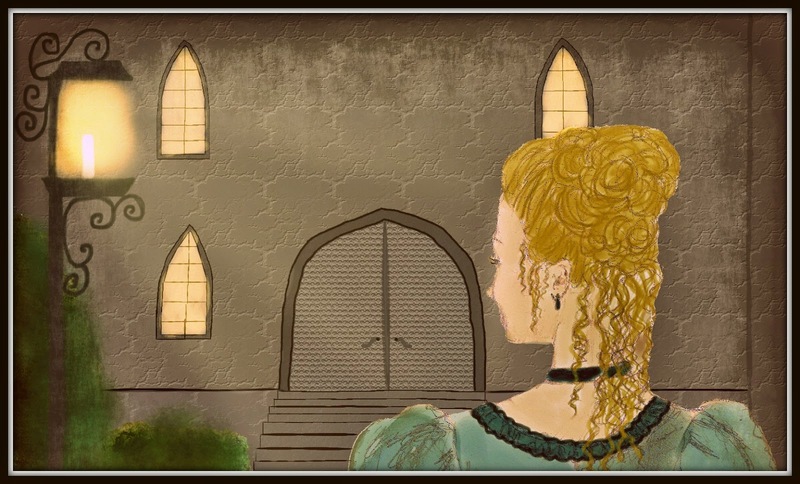 When Prince Sheridan discovers the two princesses wandering the woods outside the castle at night, he begins to wonder if there is more to Phaedra's curse than is readily apparent. With the help of a minstrel out to prove a point, they must discover the secret before the princesses are trapped forever in the night." Who can resist a fun fairy-tale retelling? Not me! 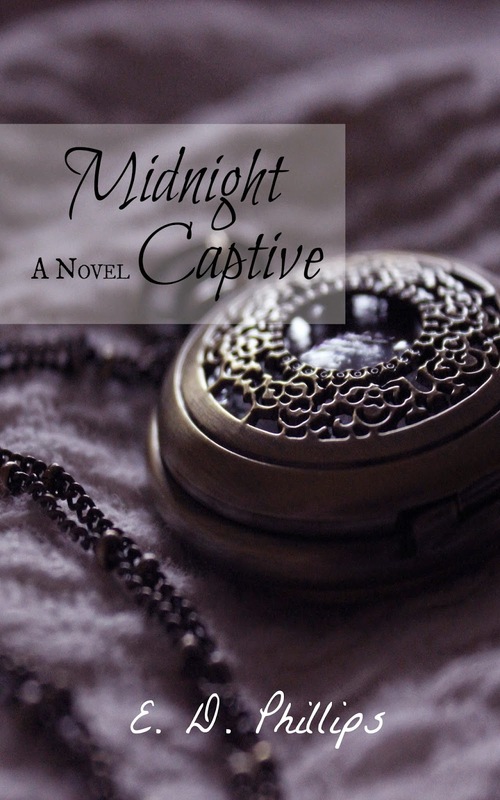 Midnight Captive offers surprising connections between an intriguing assortment of fairy tales and legends. What do Sleeping Beauty, The Twelve Dancing Princesses, The Pied Piper of Hamelin, Rapunzel, and Cinderella have to do with one another? (It's quite possible there are even more that can be added to this list, as there are nods to all sorts of stories in these pages!) Come discover how elements of these beloved plots are pretzeled together into one enjoyable mystery. The writing could use a bit of polish to make it really shine, as there are some instances of "telling" and info-dumping that keep the story from flowing as well as it might and the characters from feeling as authentic as they might. But the pace is quick for the most part, and all the little "reveals" are fun to experience along the way. I really appreciated the unique combination of familiar fairy tales in Midnight Captive, as well as the emphasis on the power of music. A great debut! Note: Are you a blogger interested in reviewing for Rivershore Books? Or an author looking to run a book tour? Learn more on the Rivershore Books website!